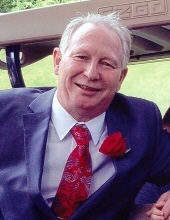 Plainfield – Jeffrey L. Fournier, 57, passed away peacefully on March 16, 2019, surrounded by his loving family. He was born in Norwich, CT on March 7, 1962, a son to the late Patricia G. (Blais) and Roland R. Fournier. Jeffrey was predeceased by his wife Linda Fournier, who passed on Sept. 11, 2018. Jeffrey was a proud veteran of the United States Air Force. He loved his family and was especially happy being Poppi to his grandchildren. He worked as a phone technician for DEF Services Group for the past 12 years. In his spare time, he enjoyed being outside golfing and fishing. Jeffrey is survived by his son and daughter-in-law Matthew and Ashley Fournier of Moosup, his daughter Katie Sartori and her fiancé Josh Gleason of Plainfield, 2 grandchildren Holden and Ivyana Gleason; brothers David (Angel) Fournier of Plainfield, Michael (Christina) Fournier of Mentor, OH, Ernest Fournier of Miami, FL, Bruce Fournier of Plainfield; sisters Kathleen (Alan) Denomme of Central Village, Elaine (Lucien) Fauxbel of Danielson, Dawn (Scott) Faunce of Thompson. To send flowers or a remembrance gift to the family of Jeffrey L Fournier, please visit our Tribute Store. "Email Address" would like to share the life celebration of Jeffrey L Fournier. Click on the "link" to go to share a favorite memory or leave a condolence message for the family.